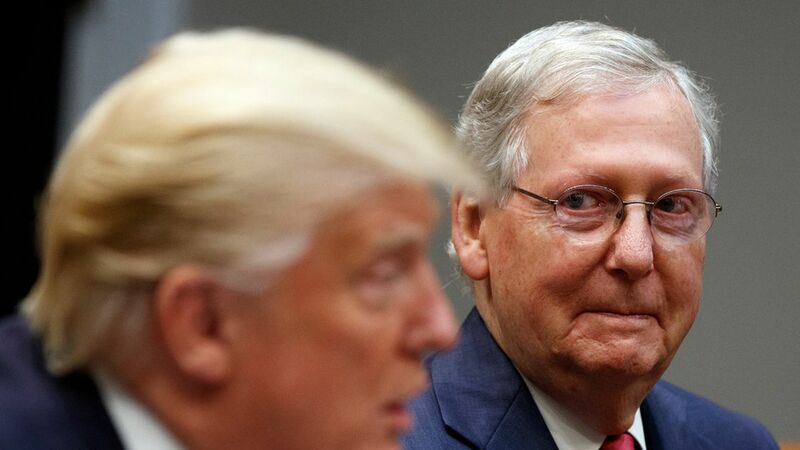 President Trump and Majority Leader Mitch McConnell had a 20-minute private conversation on Tuesday ahead of the president's meeting with Republican leaders to discuss tax reform, per Politico. Why it matters: Their meeting comes after a tense August recess during which the two leaders reportedly did not speak for weeks. Politico reports that the meeting was an attempt to bury the hatchet ahead of a busy fall for the Republican legislative agenda. Flashback: Trump called McConnell out on Twitter after Affordable Care Act repeal failed in the Senate, saying the senator "couldn't get it done."